SALT LAKE CITY – Today, the Utah Attorney General’s Office arrested James Savage Brown for multiple felony charges, including human trafficking, against two women. Charges against James Savage Brown consist of five first-degree felonies, including sexual exploitation and assault, and two second-degree felonies of aggravated exploitation of prostitution. AG Special Agents learned of Brown’s activity earlier this year from one of the victims after she was released from the Salt Lake County Detention Center. While there, the victim encountered another woman who had suffered similarly at the hands of Brown. Both women told stories of sexual assault, physical abuse, and repeated forced prostitution. James Savage Brown has a lengthy criminal history, both in Utah and California. In addition to the charges already filed, agents found stolen credit cards, marijuana, and a distributable amount of meth in his possession at the time of his arrest earlier today. The Utah Attorney General’s Office requested that James Savage Brown’s bail be denied as he poses a risk of danger to the community. The two victims are receiving treatment by a partner agency of the Attorney General’s Utah Trafficking in Person’s Task Force. The Attorney General’s SECURE Strike force executed the investigation and arrest. SECURE is tasked by the Utah Legislature with investigating and prosecuting large-scale criminal operations, including human trafficking. Human trafficking tips should be reported to the National Human Trafficking Hotline at 888-373-7888. You can find a copy of the charging documents and probable cause statement here: https://attorneygeneral.utah.gov/wp-content/uploads/2018/11/James-Brown-Savage.pdf. 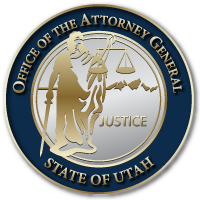 Read more about the AG’s SECURE Strike Force here: https://attorneygeneral.utah.gov/secure-task-force/. You can find more information on the Utah Trafficking in Persons (UTIP) Task Force here: https://attorneygeneral.utah.gov/initiatives/human-trafficking/. This entry was posted in Recent Posts and tagged Human Trafficking, Sean D. Reyes, SECURE Strike Force, Utah Attorney General on November 19, 2018 .